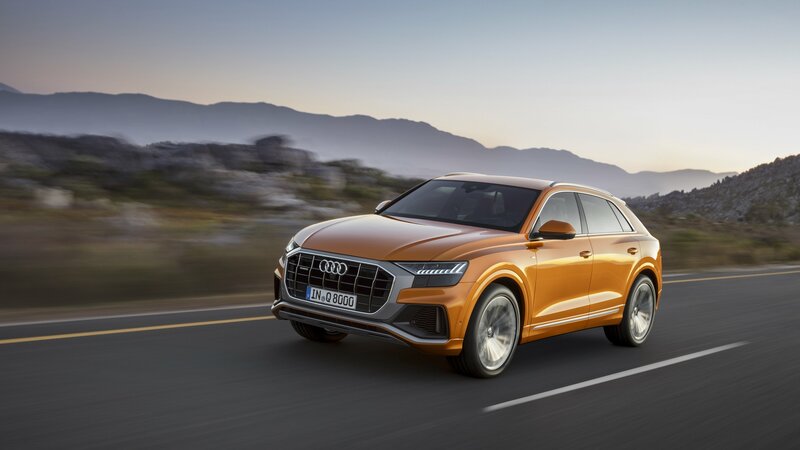 Launched in June 2018, the Audi Q8 is the company’s latest SUV offering and competes in a small niche dominated by the BMW X6, Mercedes-Benz GLE Coupe, and the Porsche Cayenne. With the coupe-styled Q8 now ready to hit dealerships, Audi is working to expand the lineup. 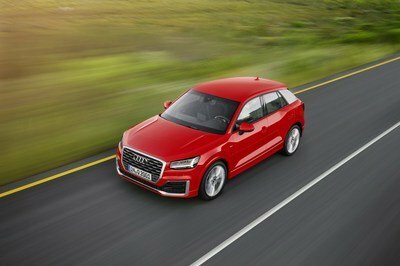 The first iteration to join the new family is the performance-oriented SQ8, which was spotted testing on public roads only a few weeks after the regular Q8 debuted. The S badge will add notably more oomph under the hood, but it will also enhance the crossover’s exterior with sportier features. It won’t be decidedly more aggressive than the Q8, but it will get just enough unique design elements to stand out. The SQ8 will become the range-topping model and will challenge the more powerful versions of the X6 and GLE Coupe. That’s until Audi will launch an RS version, which is likely to happen sometime in 2019. 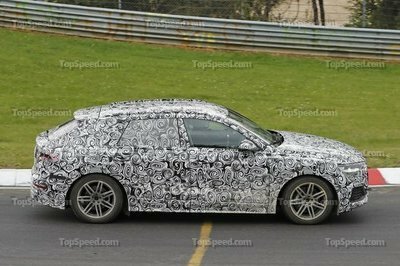 As for the SQ8, it could debut by the end of 2018 or at the Detroit Auto Show in January. 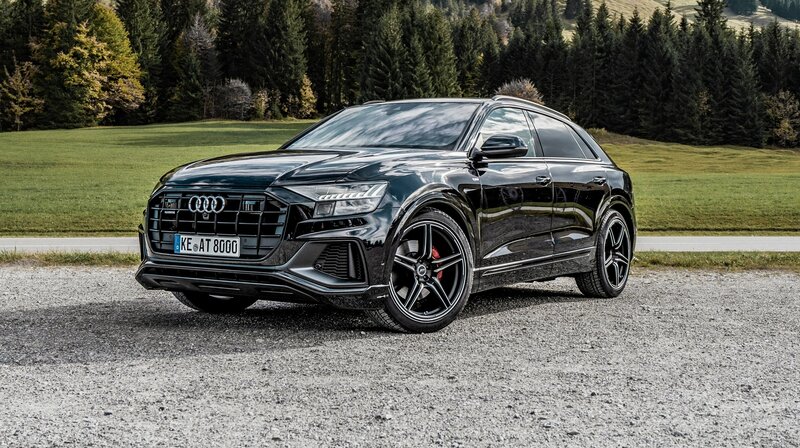 Continue reading to learn more about the Audi SQ8. Audi is currently gearing up to release its new flagship SUV. It’s called the Q8, and it was originally presented in concept form at the 2017 Detroit Auto Show. 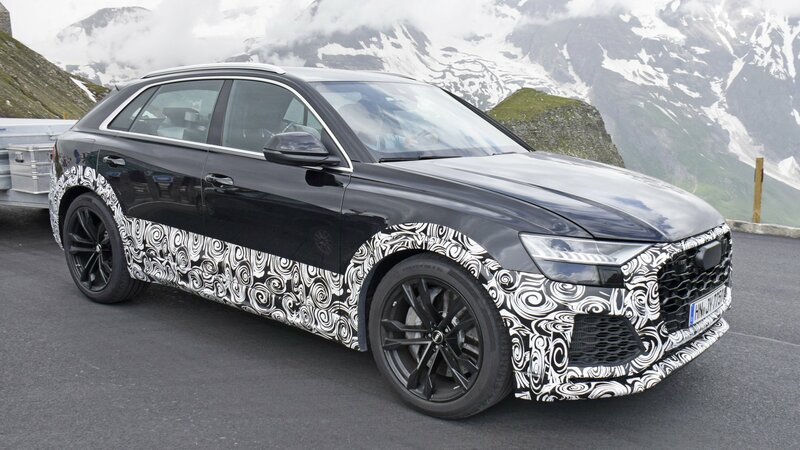 In its wake will follow a go-faster version called the S Q8 and, according to a recent batch of spy photos, an even-faster RS Q8 version – the latter of which will be Audi’s take on the new Lamborghini Urus. Since they acquired Lamborghini, the Volkswagen Group alchemists have formulated a fantastic concoction which allows them to offer the world extreme Italian machines as well as their “lesser” German knock-offs. Audi R8 has become the poor man’s Gallardo; the new R8 is the poor man’s Huracan. 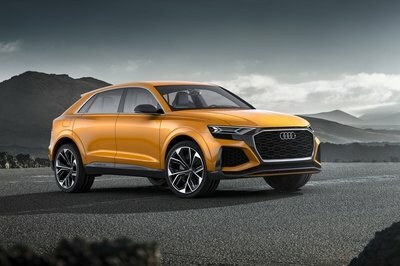 Now, with Audi revealing a rather ostentatious Q8 – an SUV with Coupe-like roof riding on universal Volkswagen MLB-Evo architecture – we are really close to having the poor man’s Lamborghini Urus. 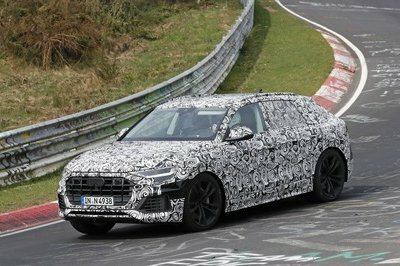 While the whole world basks in the greatness of the latest Audi SUV, I am wondering how long it will take the Audi RS Q8 to leave its Nurburgring lair, where it has already been spotted, and start taking over the autobahns and highways with the same zeal as the Urus. 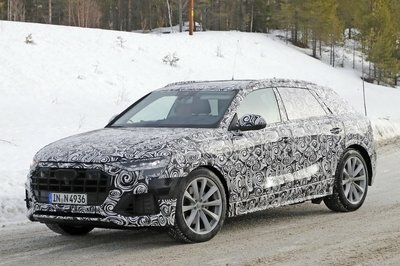 If the R8 is like the Huracan, could the RS Q8 be like the Urus? The Audi Q8 is still a newborn and isn’t even on the market yet, but we’re still lucky enough to have some really good shots of it from the manufacturer. A good handful of which, will make a damn good wallpaper for any over you that are drooling over the new SUV. If you’re planning to buy one as soon as it goes on sale, these wallpaper selections might make it a little bit easier to survive the wait. It’s slated to go on sale sometime later this year, so the wait isn’t that bad, but we all know what it’s like to really want something. 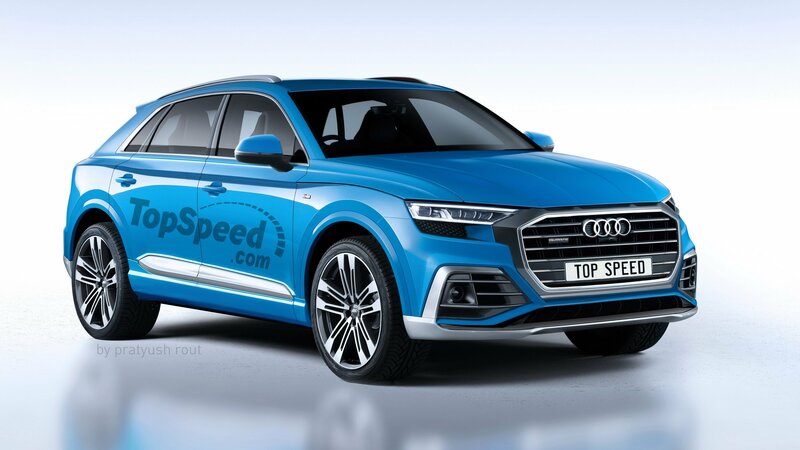 As a reminder, Audi has yet to release any performance data regarding its newest SUV, but we expect the choices to mirror those of the Q7 which means it should get a pair of six-cylinders, one gasoline, and one diesel. The gasoline mill will probably deliver the same 333 horsepower and 324 pound-feet of torque while the diesel engine should deliver between 218 and 272 horsepower, depending on levels of tune. Torque ratings will be through the roof as usual, with the lower tuned diesel pumping out nearly 370 pound-feet and the high-end diesel churning out as much as 442 pound-feet. 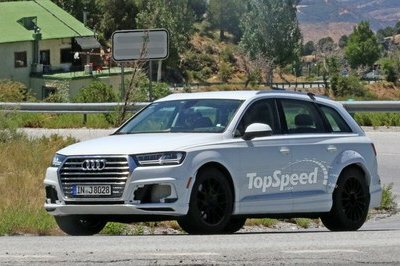 It’s not likely Audi will offer the Q8 with that 2.0-liter gasoline engine, but if it does, expect to attain 252 horsepower and about 270 pound-feet of torque. 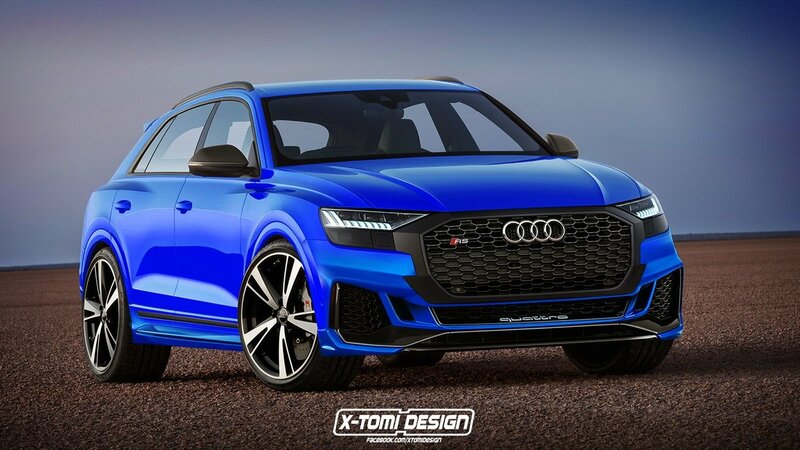 An Audi RS Q8 should come to life before the turn of the decade, and could even use the same V-8 mill from the Urus and R8. With a mild-hybrid setup, it could churn out as much as 600 horsepower. 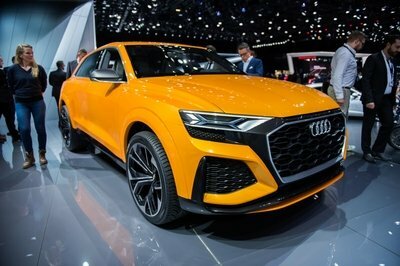 After years of rumors and a couple of concept cars, Audi finally unveiled the Q8 in June 2018. Developed specifically for the tiny coupe-style SUV market, the Q8 is here to tackle the popular BMW X6 and the Mercedes-Benz GLE. The Q8 is a brand-new idea for Audi, which joins this segment 11 years after BMW created it with the X6. As it is the case with all brand-new models, the Q8 is loved by some enthusiasts and hated by others. The TopSpeed staff also had a few arguments about this crossover, and we decided to give it the “love it or leave it” treatment, much like we did with the Rolls-Royce Cullinan. Check out what everyone had to say about it below. After six years of rumors that began when Audi trademarked the Q8 name in 2012, the German company finally unveiled its proposition against the BMW X6 and Mercedes-Benz GLE Coupe. 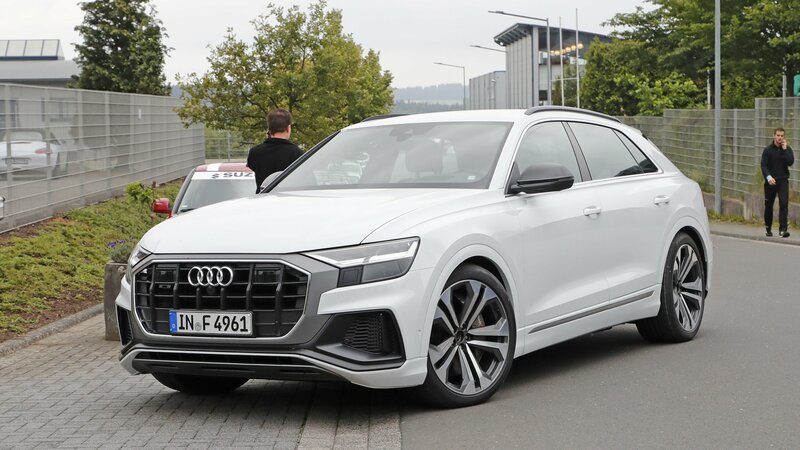 It called the Audi Q8, and it’s heavily based on a concept car that the Germans introduced in 2018. It’s modern, aggressive, it packs Audi’s latest technology, and promises to give the X6 and GLE Coupe a good run for their money. When BMW introduced the X6 in 2009, a new segment was born. But although the crossover BMW describes as a Sports Activity Coupe proved somewhat popular with SUV enthusiasts, the trend didn’t catch on with other automakers until 2013. 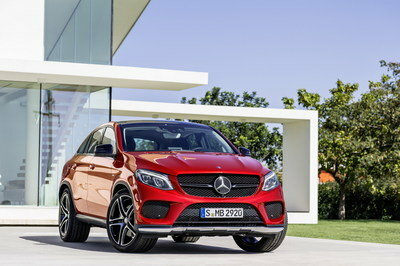 That’s when Mercedes-Benz revealed plans to develop a coupe-like crossover based on the M-Class. Shortly after, rumors of a Cayenne Coupe emerged, signaling that Germany’s finest automakers finally pay more attention to this niche. Come 2018 and Audi joined the battle with the prettiest SUV it has created in recent years. 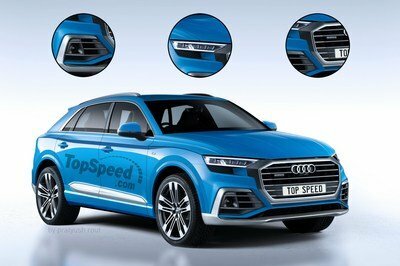 Will Audi Fill its SUV Range with a Q1, Q4, Q6, and Q9? 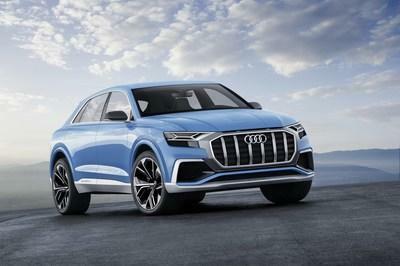 Fresh off the launch of the Audi Q8 coupe SUV, the German automaker is already considering expanding its SUV range further with plans to develop the Q4, Q1, Q6, and Q9. 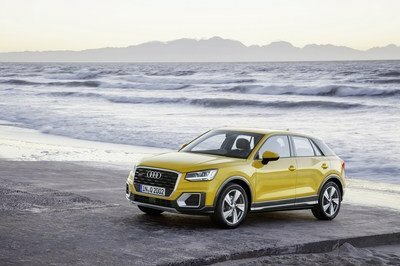 Nothing is set in stone at the moment, but there have been reports that Audi is already working on introducing a smaller coupe SUV (Q4) and an entry-level model (Q1) to bolster its growing crossover and SUV lineup. Now, there’s talk that the automaker wants to take things further by filling up its entire SUV alphanumeric naming range. It’s been six years since Audi trademarked the Q8 nameplate, and now, it’s looking like the official release of the luxury SUV range-topper is imminent, as previewed by a new rendering and release video trailer. Continue reading to learn more about the 2019 Audi RS Q8. 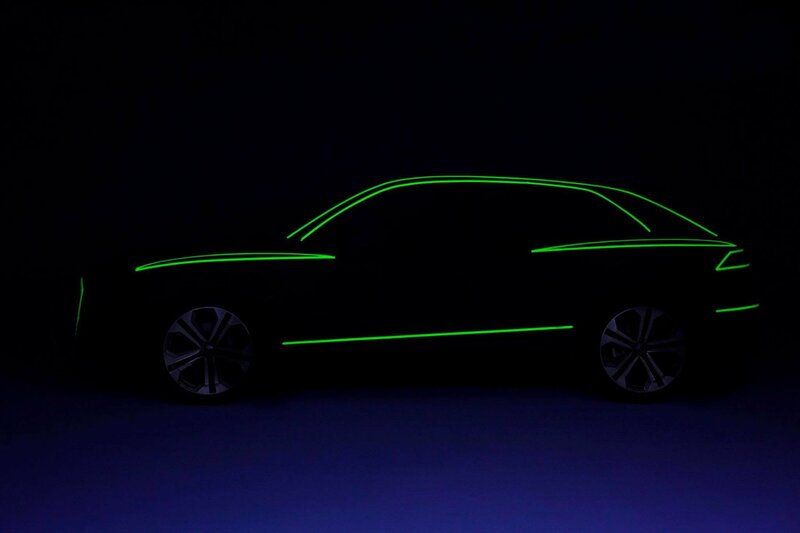 Audi Teases New SUV; Could This Be BMW X6-Fighting Q8? Audi’s got a nice little surprise for the 2018 Beijing Auto Show, and from the looks of it, we might be close to finally seeing the production version of the Q8 SUV. Granted, Audi isn’t spilling the beans until Beijing, but the automaker did release a new teaser image on its official Facebook page of what looks to be a side profile outline of a big SUV, accompanied by a short caption that says, “He carries the gene of the #Audi #Urquattro.” Unless this is a model that we’re not expecting, maybe now’s the time to start getting excited about the upcoming Q8. 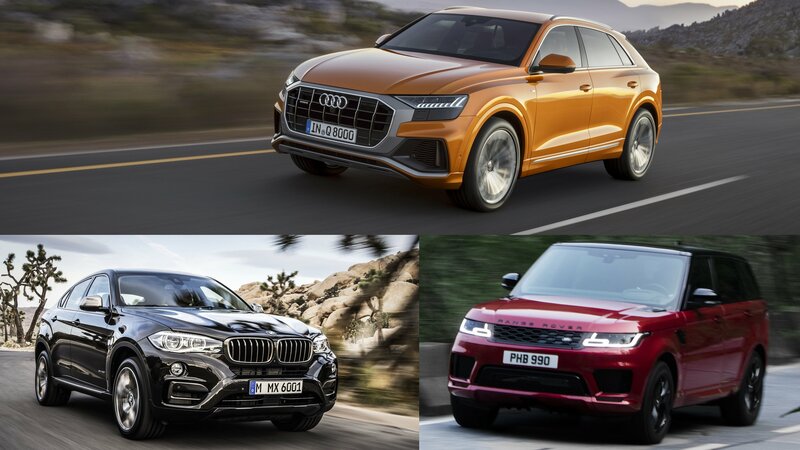 After five years of rumors that began when Audi trademarked the Q8 name in 2012, the German company finally unveiled its proposition against the BMW X6 and Mercedes-Benz GLE Coupe. Actually, the crossover introduced at the 2017 Detroit Auto Show is just a concept for now, but a production model is scheduled to follow soon. When BMW introduced the X6 in 2009, a new segment was born. But although the crossover BMW describes as a Sports Activity Coupe proved somewhat popular with SUV enthusiasts, the trend didn’t catch on with other automakers until 2013. 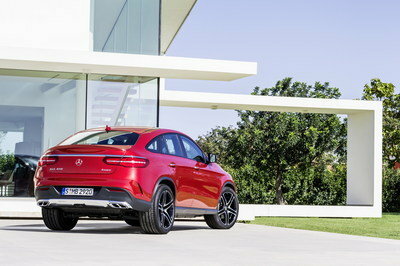 That’s when Mercedes-Benz revealed plans to develop a coupe-like crossover based on the M-Class. Shortly after, rumors of a Cayenne Coupe emerged, signaling that Germany’s finest automakers finally pay more attention to this niche. 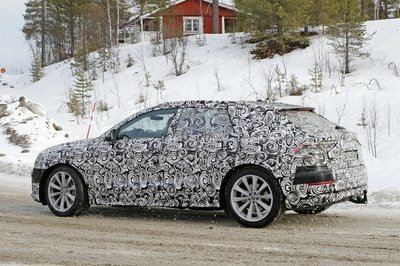 Although the details are still under wraps as of May 2017, a test car has already been spotted on public roads, a sign that the production Q8 isn’t far. 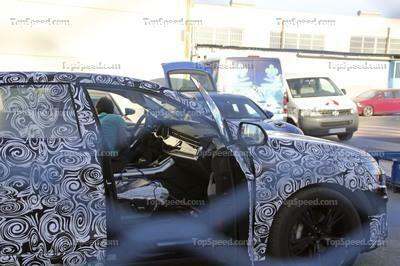 Join me in my speculative review to find out what we already know about the sporty crossover. 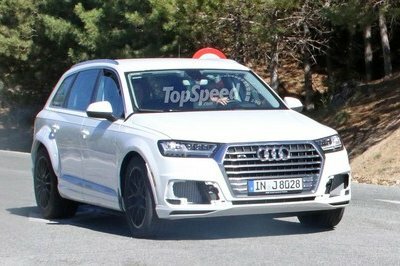 Updated 10/04/2017: Our spy photographers caught the upcoming Audi Q8 out for a new testing session, and this time we have more clear images of the interior. 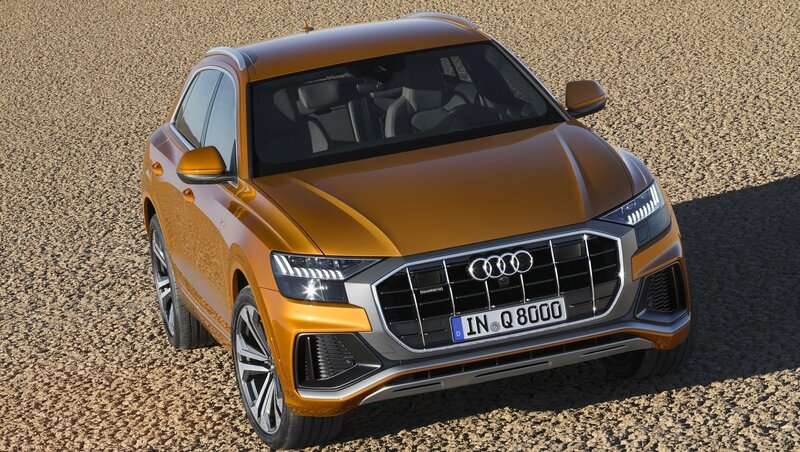 Continue reading to learn more about the Audi Q8. Essentially developed as a more emotional and sporty version of the Q7, the Q8 will borrow many of its styling cues from the Q8 concept. 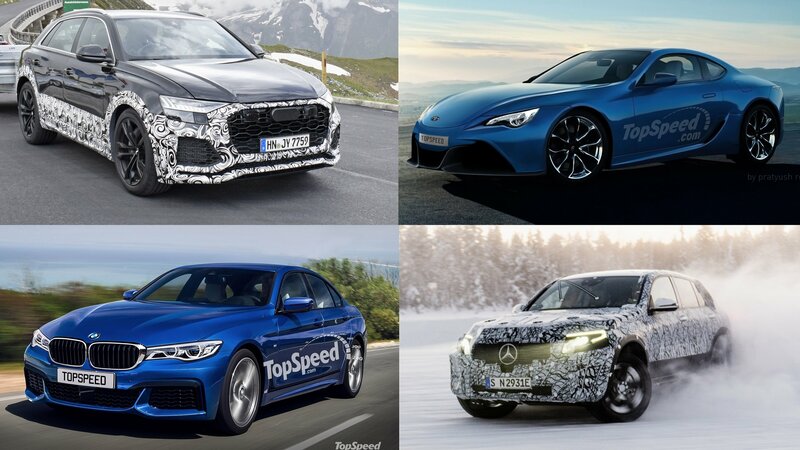 Granted, it won’t be as wild as the latter, but the camouflaged test cars appear to sport similar features. For instance, the “singleframe” grille is only slight smaller than the concept, which gives the crossover a sporty stance. Likewise, the headlamps are almost identical as far as shape and size go, although they use a different LED layout. Bigger differences can be spotted below, where the side air vents are smaller and lack the aluminum surround the make the Q8 concept stand out. Also, the lower intake is narrower, while the splitter seen on the concept is missing. Still, the Q8 definitely looks sportier than the Q7 up front. It’s difficult to tell what Audi changed on the sides due to the swirly camo pattern, but it’s pretty obvious that the side mirrors are larger, while the wheel arches are not as pronounced as the concept’s. Likewise, Audi scrapped the concept’s beefed-up rear fenders. Not surprising really, but not such a big deal given the sporty design. More changes are in store around back, and the biggest of them is in the taillight department. 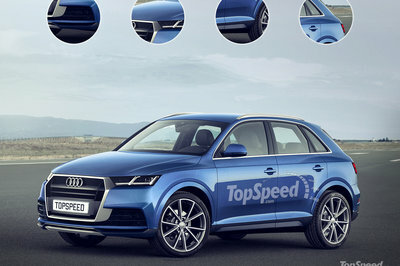 While the concept SUV has Porsche-style lights that run across the entire width of the rear fascia, the test car appears to sport Audi-specific units on each side. Also, the bumper is less aggressive and lacks the sporty diffuser seen on the concept. Other features that set the production model apart include a simpler roof spoiler, narrower D-pillars, and different wheels. The sporty SUV rides on Volkswagen’s second-generation MLB platform, also shared by the Audi Q7, Porsche Cayenne, Volkswagen Touareg, Bentley Bentayga, and the upcoming Lamborghini Urus. While the Q7 and Q8 will be a bit different as far as exterior design goes, the two will share the same technology on the inside. I wouldn’t bet on the Q8 borrowing too many features from the concept car, but a clean dashboard design and sporty seats are definitely on the table. 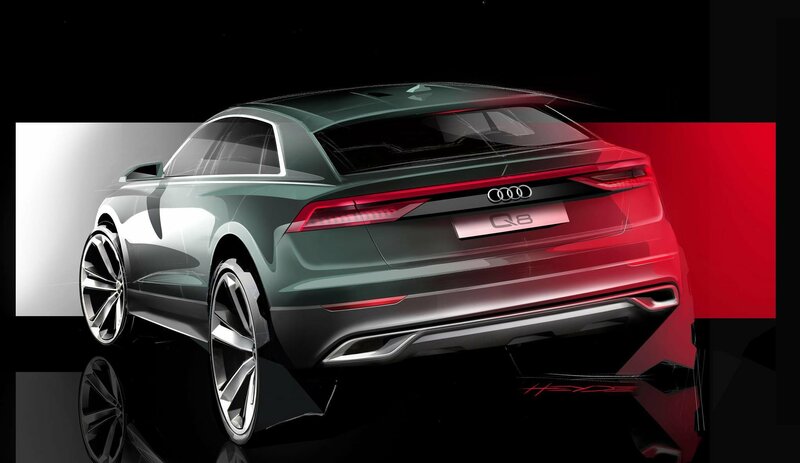 Note: Q8 concept pictured on the left, Q7 concept pictured on the right. 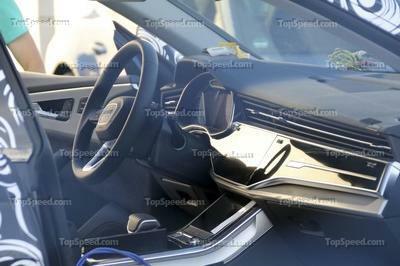 The spy shots confirm that it will get the same continuous air vent strip seen in current Audis, and the clean center stack and digital instrument cluster seen in the Q7. 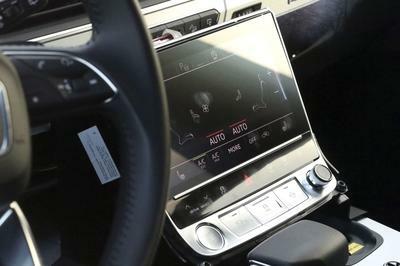 There’s an infotainment screen atop the dashboard, and another display in the center stack, just above the gear lever area. The latter seems to provide access to the air conditioning system, among other functions, and its lower aluminum section includes the engine start button. Naturally, the Q8’s cabin will be packed with the finest materials we can expect from an automaker such as Audi. The seats will be wrapped in leather and Alcantara in several color options and complemented by a host of aluminum and wood trims, including Beaufort walnut. The crossover will also benefit from a new MMI system featuring intelligent suggestions for different tasks, including searching for specific song titles or navigation destinations. As far as entertainment goes, the Q8 will probably come with one or optionally two 10.1-inch tablets as rear seat monitors. Note: Audi Q7 engine pictured here. Much like the Q7, the Q8 will receive a range of four-cylinder and V-6 engines. 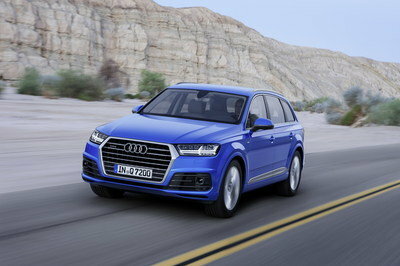 In the Q7, the 2.0-liter four-banger cranks out 252 horsepower and 272 pound-feet of torque. Next in line is a 3.0-liter V-6 making 333 ponies and 325 pound-feet of torque, which is the most powerful gasoline unit now that Audi has dropped the 4.2-liter V-8 for the SUV. Moving over to diesels, the familiar 3.0-liter TDI churns 272 horsepower and 442 pound-feet of torque, while a second version of the turbo-diesel V-6 generates 218 horses and 369 pound-feet of twist. 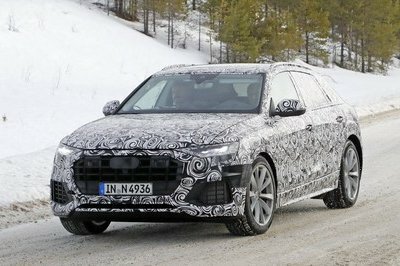 A high-performance RS Q8 is also in the books according to reports, but it remains to be seen what specific engine it will use. A Q8 e-tron version is also likely. This model will pair a 3.0-liter TDI and an electric motor built into the eight-speed automatic transmission. The combo develops 373 horses and 516 pound-feet of torque in the Q7 and provides a 34.8-miles of range on electric power only. Expect these figures to change for the Q8, as most of the drivetrains above will receive an update before the crossover arrives in dealerships. Or so it should. Audi has yet to announce a specific timetable for the Q8’s arrival, but word has it the SUV will arrive in time for the 2018 model year. According to Autocar, the Q8 will retail from £50,000 in the UK, with the range-topping RS Q8 version priced from around £90,000. These figures convert to $66.200 and $119,000, respectively, as of July 2016. The first true coupe-like SUV available on the market received an extensive update for the 2015 model year. Highlights include a narrower front grille, a more aggressive front bumper, and revised taillights and exhaust pipes around back. The crossover is also 20 pounds lighter than its predecessor, a noteworthy improvement given its slightly longer and wider body shell. Under the hood, the second-gen X6 carried on with the same engine choices, including the 3.0-liter inline-six and the 4.4-liter V-8. While the former carried over unchanged, making the same 300 horsepower and 300 pound-feet of torque, the latter got its output increased from 400 ponies to 445 horsepower and 480 pound-feet of torque. Pricing starts from $60,600 for the 2016 model year. 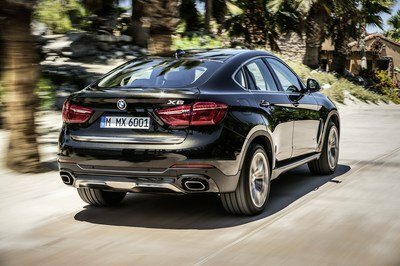 Read our full review on the BMW X6. Launched for the 2016 model year, the GLE Coupe is Mercedes’ answer to the BMW X6. Sporting a similar stance, but with Mercedes-specific cues, the GLE Coupe is available with an array of gasoline and diesel engines. In the U.S., it is sold in its sportiest iteration, namely the GLE 450 AMG 4Matic, which uses a bi-turbo, 3.0-liter, V-6 engine rated at 362 horsepower and 384 pound-feet of torque. In other markets, Mercedes offers two more engines. A diesel powerplant that cranks out 258 ponies and 457 pound-feet in the base GLE 350d 4Matic model, while the same twin-turbo 3.0-liter V-6 mounted in the AMG sport version pumps 333 horses and 354 pound-feet in the GLE 400 4Matic. U.S. pricing starts from $65,100. Read our full review on the Mercedes-Benz GLE Coupe. It’s way too early to draw a conclusion, but it’s exciting to see Audi expanding into a new market. 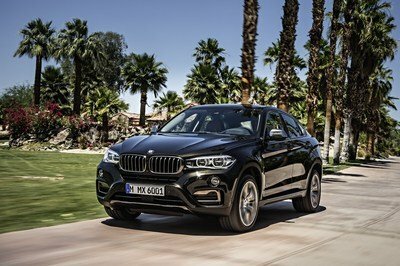 The BMW X6 is no longer solo in its segment, and it appears all the major German companies are working on a competitor. 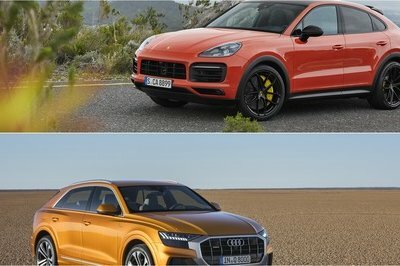 With the Mercedes-Benz GLE Coupe already in showrooms and the Porsche Cayenne Coupe likely already underway, we’re about to witness a new battle of the titans. Read our full review on the 2017 Audi Q7. Read our full review on the 2017 Audi Q8 Sport Concept. Read our full review on the 2017 Audi Q8 E-tron Concept. 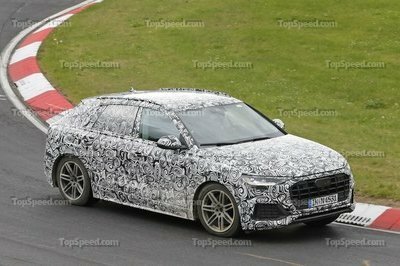 Updated 05/29/2017: Our spy photographers caught the upcoming Audi Q8 out for a new testing session at the famous Nurbugring race track.